Are you looking to raise capital in the next 12 months? WhaleShark offers the most intensive and interactive 3-day due diligence workshops to get you investment ready. Focus on the key elements that investors look for. Gain insight on team, personal branding, governance, scalability & fundraising. Validate your investment readiness with startup veterans with 15+ years of experience. Board members, founders or C-level executives are open to apply. Maximum 8 businesses will be selected from amongst applicants. Applicants who are not selected for this workshop cycle will be placed on a priority list for the next workshop. 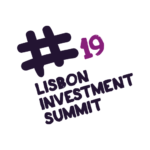 Pitch competition with all-inclusive prize package including onstage pitch and boat cocktails with investors on June 6-7, 2019 a the Lisbon Investment Summit. Participants ideally must attend all the sessions, and at least one participant should be present at each workshop day. Spaces are limited. Apply before April 26th, 2019. 42.500 Sek (inkl.moms) / €4.000 (incl.VAT) per company, invoiced. Includes: 2 participants, accommodation, food & beverage. LANGUAGE: the program and application is in English. Maria A. Dahrieh has more than 10+ years of international experience in business development and fundraising projects both for startups and fast growing companies such as Apple, Brighthandle, Bigbelly US, Wellness Telecom to name a few. Maria is an expert in investor relations and has a vast European and Asian network of investors. Gleb Maltsev listens to around 900 speeches a year ranging from a 60-second pitch to a 45-minute keynote. He’s trained presenters for industry-wide pitching showcases such as Slush, Latitude59, TechChill and LOGIN. He’s the co-founder of Fundwise, a founder-to-investor pitching platform with a 68% success rate and raising over 1 mln EUR for over a dozen projects. Johan Norell Bergendahl spent more than 20+ years in Ericsson (telecommunications) after 10 years with Schlumberger. He held a number of senior positions with his eight last years in Ericsson as group CMO. Educated to professional coach (ACC / PCC), he has now spent 8 years in executive coaching. Annette Rosencreutz has more than 15+ years of international experience in branding strategy. Annette has worked with a vast number of startups and fast growing companies. Except SME clients include Vodafone, Ericsson, Exxon, Deutsche Bank to name a few. Johan Widmark has 15+ years of experience from the financial industry, primarily in the listed environment, with focus on sales and research to institutional investors.